Meet the Standards and Beyond! Learn Math Online or via CD or via download (a link will be emailed to you). Arithmetic skills are learned, practiced, and mastered in an easy-to-use, menu-driven system of instruction, practice, and assessments. 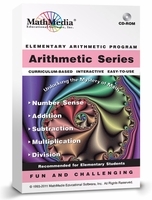 Each of these 5 arithmetic skills programs has 10-15 learning sections with audio. Each math learning section has 20-30 interactive practice screens. Each section concludes with a quiz - the score is recorded on the included database. 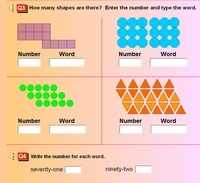 Each section has a mirror-image printable worksheet for pencil and paper work - and many extras such as "brain teasers". These programs automatically "bookmark" the student's last viewed screen and will prompt the student to return to that screen upon their return. 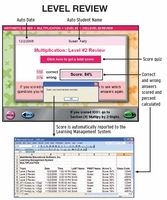 This software is written in a format that is appropriate for all ages - young learners and adults returning to their math education. 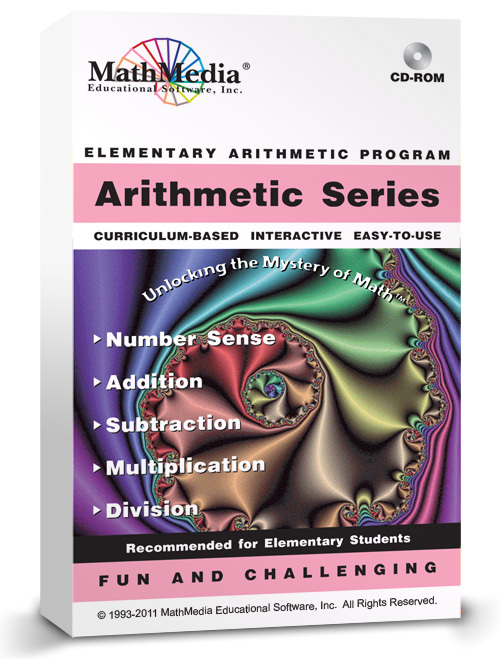 This math software is used in elementary schools, middle schools, high schools, colleges, and learning centers -- in the classroom and in after school programs for remedial, average, and gifted math students. Purchase the complete set of 5 programs for $159. Purchase each title separately for $49. Please scroll down to see sample screens.